Often, travelers spend their final few days in Italy in Rome, and have precious little time to see all of the city's main sights and get a look at its lesser-known monuments. 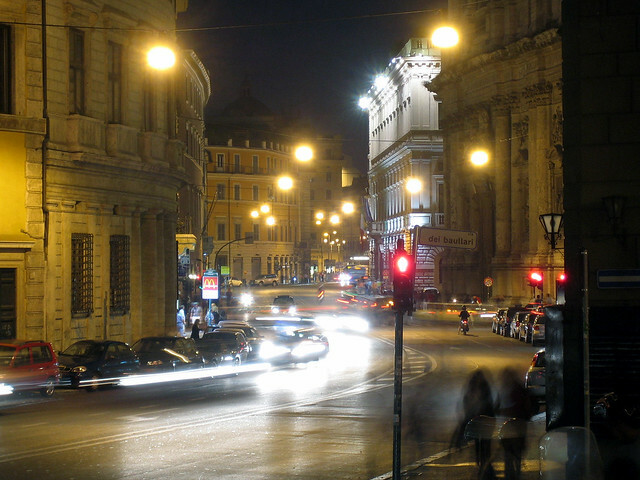 Given the multi-faceted nature Rome, one of the best ways to get a feel for the city is to take a night drive around its neighborhoods. 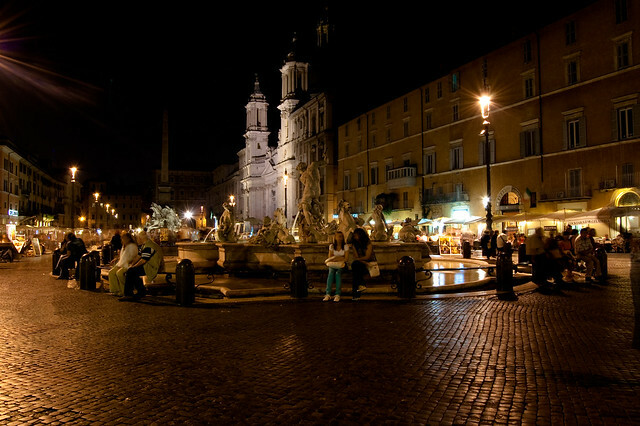 Like many major cities, Rome has a different aura at night, and Romans stay out late, so the night drive shows you the city at one of its most active times, with monuments illuminated and natives enjoying the evening's relative cool. With a knowledgeable driver, the night drive is a fantastic opportunity to learn more about the city -- even parts of it you may have heard about during the day. My night drive began after a leisurely two-hour dinner with my parents. After taking us by a brilliantly lit St. Peter's, our driver took us to the top of the Janiculum, or Gianicolo, Hill, the second-highest point in Rome and the sight of an imposing monument to Garibaldi. From here, we had excellent views of the city, and were joined by many young Romans out for a stroll or sampling the offerings of the nearby restaurant. 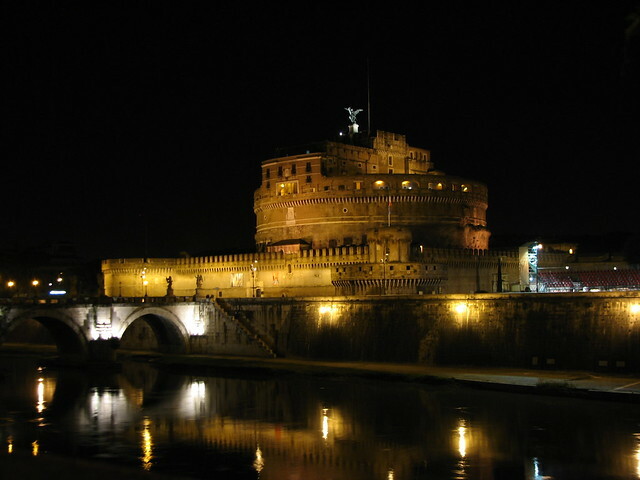 We next made our way to the Aventine Hill, on the way picking up several restaurant recommendations from our driver, and seeing great views of Castel Sant'Angelo. On the Aventine, we took the traditional look through the keyhole of the Grand Priory of the Knights of Malta, and were treated with another view of St. Peter's. Moving on through Rome's high rent district, we drove by sections of the still-standing 3rd century Aurelian Walls, and then doubled back on the city center to observe an illuminated Coliseum. The next stop was the Baths of Caracalla, which were playing host to a ballet performance that night. Though we could not see the stage, several people, including two military men, were standing outside, taking in the lit ruins and the musical accompaniment. After the baths, we re-crossed the Tiber to get to Isola Tiberina, an island in the river from which we could see several waterside cafes still going strong, and on which a crowd was enjoying a public screening of a Mafia drama. On the way back to our hotel, we made a last stop at Piazza Navonna, to take in a lit Fontana dei Quattro Fiumi and Borromini's Sant'Agnese in Agone. Though I had to leave Rome the next afternoon, I left with a wealth of new ideas for my future explorations of the Eternal City, thanks in part to the diversity of locations I saw during the night drive. In short, this experience offers a great tour of the city at one of its more active times by a local who knows all of its secrets, and is happy to share. Nelson was our CIU summer intern. His onerous duties in this capacity included assessing current and prospective client experiences and then writing about them for our blog. He graduated from Milton Academy this year and is headed to Harvard University this fall. Full disclosure: he is also our nephew.